The Quercy Local is a free local magazine, produced for the English speaking population of the Quercy region of SW France, covering sections of the Lot, Lot et Garonne and Tarn et Garonne. It Provides an advertising solution for local businesses and a local resource for the English speakers that live in, have second homes in, or visit this region of France. 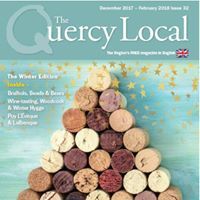 The Quercy Local is produced in full colour with a glossy cover and in an A5 format, a format that is designed to achieve a long shelf-life, it is easy to store, the type of magazine that people collect. Each March, May, July, September and December approx. 7,000 copies of The Quercy Local are distributed through a series of display bins in supermarkets and via bakers, cafes, tourist offices, butchers, hotels, banks, indeed where ever English speaking people are likely to find them. An increasing number of copies are now mailed directly to subscribers both in France and to the UK, Spain, Ireland, Holland, Belgium, Denmark, USA, Australia, Switzerland and Germany. The magazine has an estimated readership of 75,000 people each year! Each edition features articles of local interest as well as useful advice and information. The magazines provide a perfect place for local organisations to let people know what they are doing and for local businesses to advertise their services. The advertising works well for French businesses wanting to let the expatriate community know about their goods or service as well as English owned businesses who need a way to communicate with other English speaking people. Each edition is also available to read electronically on line. We hope that this simple facility means that everybody can keep in touch with the region and those living and working in it. The Quercy Local is happy to help charities promote their fund raising and raise awareness for their causes. We hope that people will get involved by producing articles for other English speakers to read perhaps drawing on their own particular interests, experience or causes. Writers are invited to send in their work – the aim is that the magazine will be a true reflection of the area and the people living here. We do ask that submitted work be original and that it is not submitted to simultaneous publications. The Perigord Local is a new publication for 2018. The first edition will appear for the start of March. It’s a new publication and so we will be starting by printing just 4000 copies for March , 5000 in May and then to match The Quercy. The format and production will mirror The Quercy Local and of course there will be electronic versions on-line to be read. If you want to get involved or would like copies sending to your shop/cafe/business to offer (free) to your customers, then now’s the time to contact us. 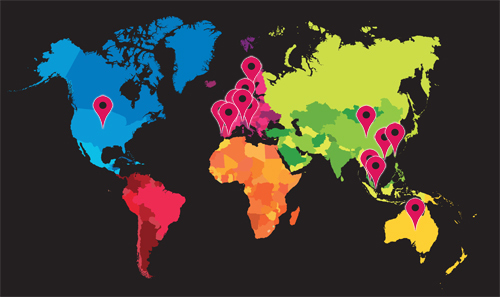 If you want to get your business seen in a magazine that will be full of articles and editorial making it something that people keep and even collect – then contact Global Media Sales to find out about the advertising options.